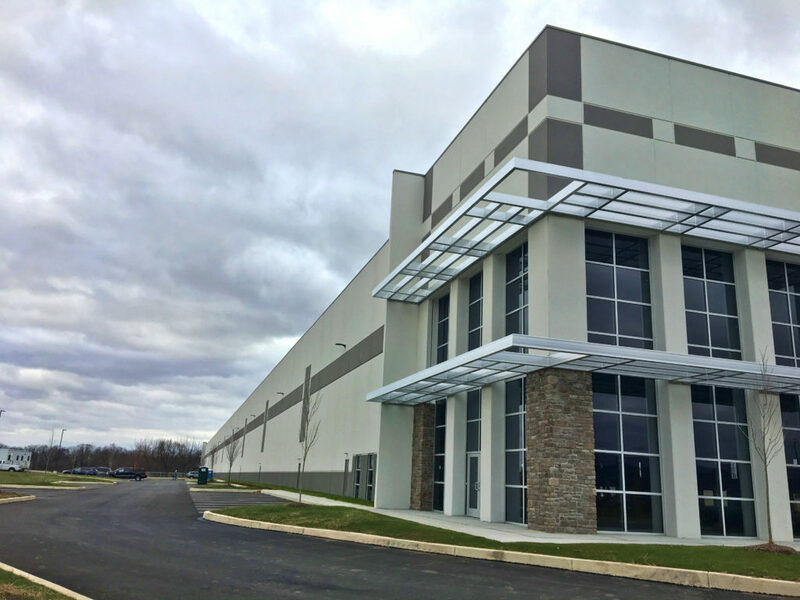 QEI Construction Group is constructing a large warehouse in Jonestown, PA. 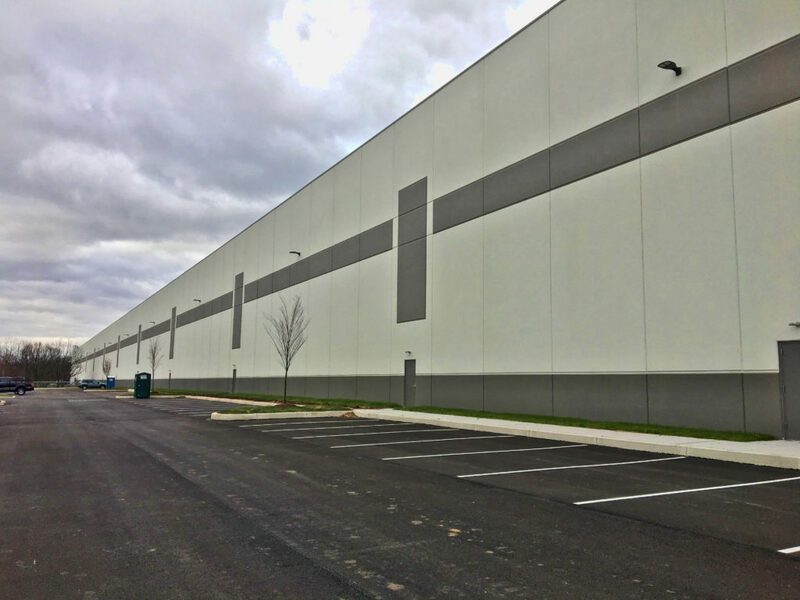 The exterior of the building consists of insulated precast wall panels and the interior has a 7-inch 4000 PSI reinforced concrete slab. The roof is a single-ply, mechanically-fastened EPDM roof. 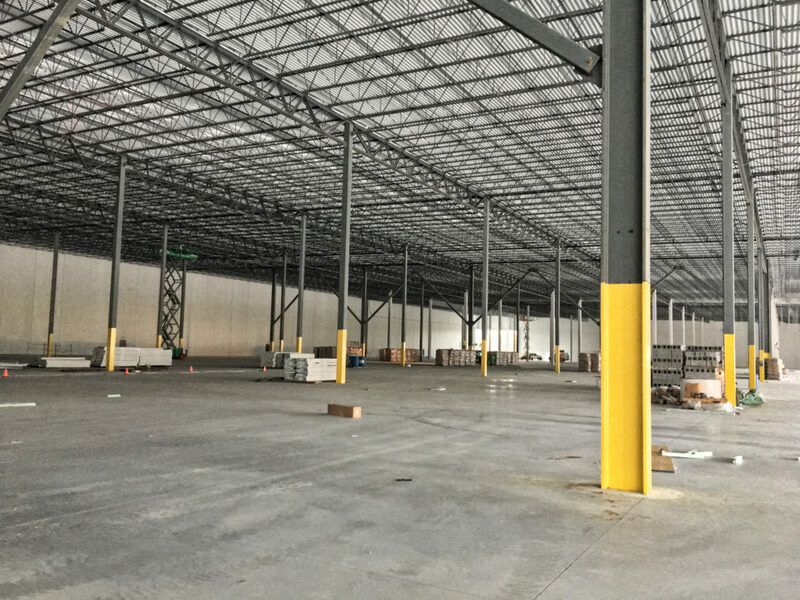 There are 60 overhead dock doors, a domestic water and sanitary sewer system installed in office areas and fire pump room and an ESFR fire protection system supplied by a 120,000 gallon water storage tank. The interior of the building also has roof-hung, gas-fired Cambridge heaters, roof-mounted exhaust fans and wall-mounted louvers/gravity damper to achieve two air changes per hour, and 2000 AMP service.